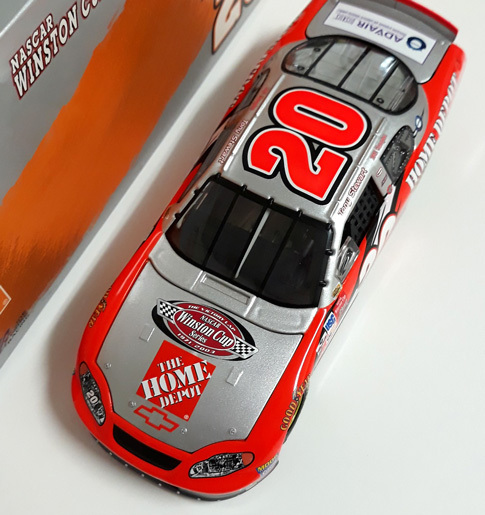 2003 Tony Stewart #20 Home Depot / The Victory Lap / Chevrolet Monte Carlo NASCAR 1/24 diecast, by Action. 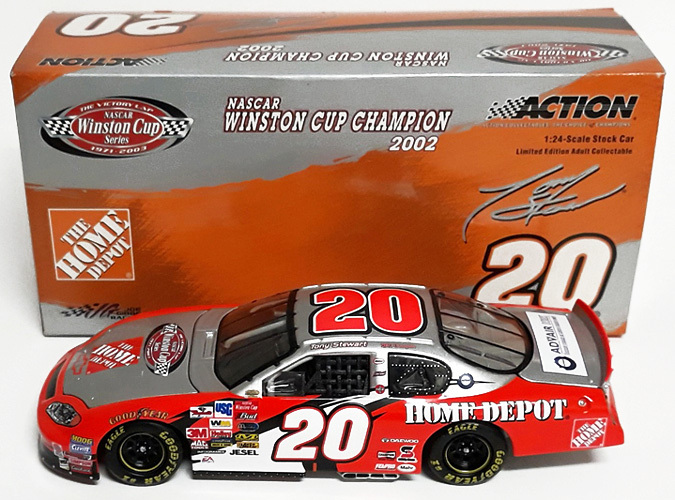 This Joe Gibbs Racing #20 Home Depot The Victory Lap Chevrolet Monte Carlo was raced by Tony Stewart in the NASCAR Winston Cup, Ford 400 at Homestead-Miami Speedway on November 16, 2003. This NASCAR Winston Cup 2002 Champion Tribute features "The Victory Lap" NASCAR Winston Cup Series 1971-2003 logo on the hood.